Last Thursday I explained my technique for straightening the edge of my fabric before I started cutting into it. This Telecast Thursday I want to show you how to cut strips from your fabric after it's been straightened. It's important to learn the correct cutting method so that you don't get wavy strips. It's so frustrating to cut 10 strips only to realize that each one has a big wave - or two - in it! Certainly not desirable! To properly understand this technique and learn the little tips that will help you in cutting your fabric strips, watch the video below or on my YouTube channel. Keep in mind that this is my method for cutting fabric strips: there are other ways to do this that you might want to investigate too. What are your best tips for cutting fabric strips? Leave me a comment below telling me your favourite technique. I'd love to have you join me and hundreds of other quilters in my private Chatterbox Quilts' Facebook group. This encouraging and sharing group provides lots of help and inspiration to all quilters. It's another Telecast Thursday and this week I'm addressing a question that I've heard many times: how to I cut my fabric? Do I use the lines on my ruler? Do I use the lines on the cutting mat? There are many ways to cut your fabric, but you always want to start your cutting with a straight edge, so the most important part of cutting your fabric is how to straighten your edge so the rest of your cuts will be straight. I use the lines on my ruler to straighten up my fabric edge and I'll show you that in the video below, but before I can start cutting, I want to be sure that my fabric is folded evenly. if the fabric is askew, so will be the cuts! Watch the video below to see my technique or view it on my YouTube channel. There are many ways to straighten your fabric edge, but this is the method that works best for me. How do you straighten the edge of your fabric? Leave me a Comment below to describe your technique. P.S. I invite you to join my private Chatterbox Quilts' Facebook group. 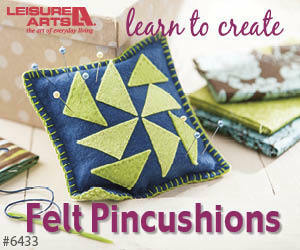 This encouraging group is the place to learn and share with other quilters. It's Telecast Thursday and this week it's tea time. I'm not talking about the traditional tea time, I'm talking about using tea to dye fabrics. Join me to see how easy it is to change stained vintage linens into beautiful antique fabrics. New videos are added to my Chatterbox Quilts Youtube channel each week. Subscribe to my Youtube channel to receive automatic notifications when new videos are posted. If you enjoyed this video, please like and share it with your quilty friends.